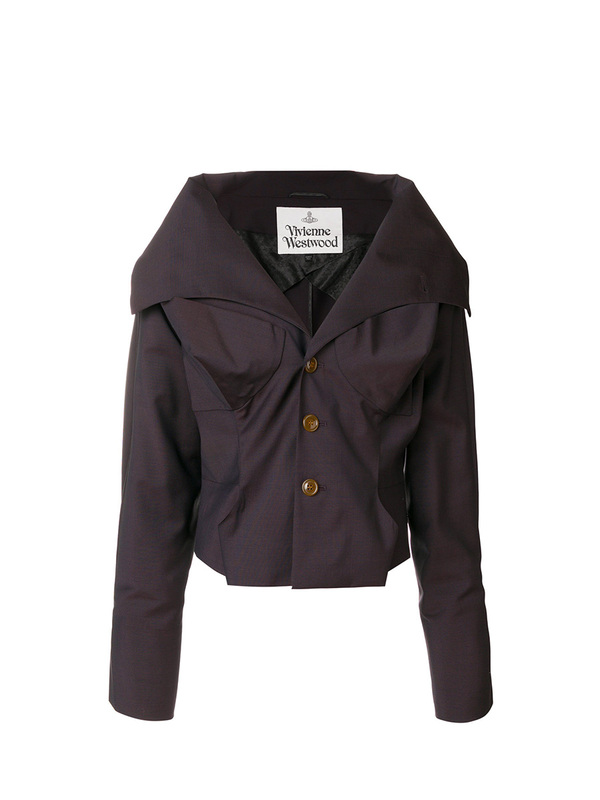 Vivienne Westwood Wilma Jacket Purple. Constructed with extreme pocketed darts to the chest and detailed with a darted waistband, the Wilma Jacket takes inspiration from a Vivienne Westwood signature archive piece. Finished with natural horn buttoning, this ultra-feminine jacket is crafted from pure virgin wool.